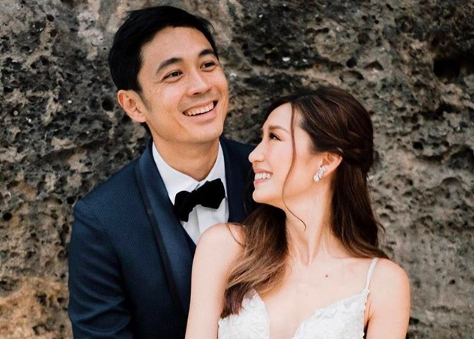 Known to many as 2012’s Pinoy Big Brother grand winner, Slater Young tied the knot with fiancé of one year, top fashion blogger, Kryz Uy at a garden ceremony on February 16, 2019, in Cebu attended by close friends and family. The balmy February weather was perfect for their outdoor wedding held at the picturesque beachside resort, Shangri-La Mactan. For their wedding ceremony, the lush grounds were transformed into a beautiful garden set up with white floral arrangements, white chairs and multiple double-curtained walkways for added drama as well as a fun backdrop for guest selfies and OOTD shots. Stylish attendees included Verniece and Vern Enciso, Tricia Gosingtian-Gabunada as well as photographer, BJ Pascual. Snoogie Reynes-Mata, the couple’s event planner shared some snaps of the bride’s ‘blogger besties’ including Patricia Prieto, Nicole Andersson, Lissa Kahayon, Laureen Uy and bride-to-be, Camille Co getting ready for the event in matching blush silk camisoles and shorts with champagne in hand. Makati based designer, Elizabeth Hallie, designed all the frothy tulle powder blue numbers they later changed into with different necklines and cuts channeling their inner Rachel Chu from last year’s hit movie, Crazy Rich Asians. A fashionista bride like Kryz deserves the best glam team at her disposal. She chose makeup artist, Anthea Bueno, who seamlessly executed her signature warm-toned glow on the beautiful bride. Adding softness to her overall look, hairstylist RJ Dela Cruz created a braided half up, half down hairstyle with soft tendrils framing the bride’s face. Renowned designer, Francis Libiran made the bride’s gown and the groom’s bespoke blue suit. The bride’s gown is fully embroidered with delicate Italian lace and custom-made appliques intricately embellished with fine crystals with layers of ruffled silk organdy at the back. It features a deep sweetheart neckline in a figure-hugging silhouette that gently flares at the bottom held by dainty straps that criss-cross sensuously at the back. According to the designer, the design was a collaborative effort incorporating things the bride wanted to achieve her perfect look. Completing her bridal look, Kryz clutched a beautiful and exotic bouquet of flowers in shades of blue, blush, green and a punch of deep crimson by Vatel Manila. 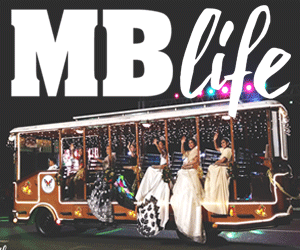 The festivities continued indoors as guests were ushered into the reception hall gleaming with thousands of magical fairy lights, fresh flowers, and green foliage. Pink Flora, Gap Mobile, and Teresin Mendezona did the lovely set up which incorporated modern elements such as acrylic placecards and wooden menus. Sweet touches were evident throughout their wedding with invitations specially made by Slater’s sister Sheryl from She Crafts It and giveaways including personalized cookies with snaps from their epic New Zealand prenup shoot printed on them. Naked Patisserie crafted their three-tier naked cake decked in blooms. Cheers to a blissful married life Slater and Kryz!